These days, you need to remember a million passwords. You need a password for the Windows network logon, your e-mail account, your website’s FTP password, your bank account, and other online passwords – the list is endless. Also, you’re advised to use different passwords for each account. If you use the same password for everything and someone gets ahold of it, you have a problem – a serious problem. The thief would then have access to it all, including your bank account. Unimaginable! 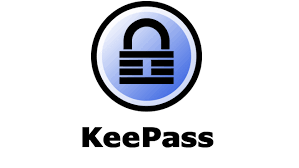 KeePass is a free, open source, lightweight and easy-to-use password manager which helps you manage your passwords in a secure way. You enter all your passwords in one database locked with one master key or a key file, requiring you to remember only one single master password or select the key file to unlock the whole database. The databases are encrypted using the best and most secure encryption algorithms currently known (AES and Twofish). KeePass is free, and more than that – it’s open source (OSI certified). You can have a look at its full source and check whether the encryption algorithms are implemented correctly. Find out more info about KeePass Here.